Gorgeous Gorse Hill does Dig the City! Friday 31st July – Thurs 6th August sees central Manchester flooded with gorgeousness as 2015’s summer gardening festival Dig the City kicks off – complete with a show garden by yours truly, Gorgeous Gorse Hill! The meeting and event dates for the second half of 2015 – spread far and wide! 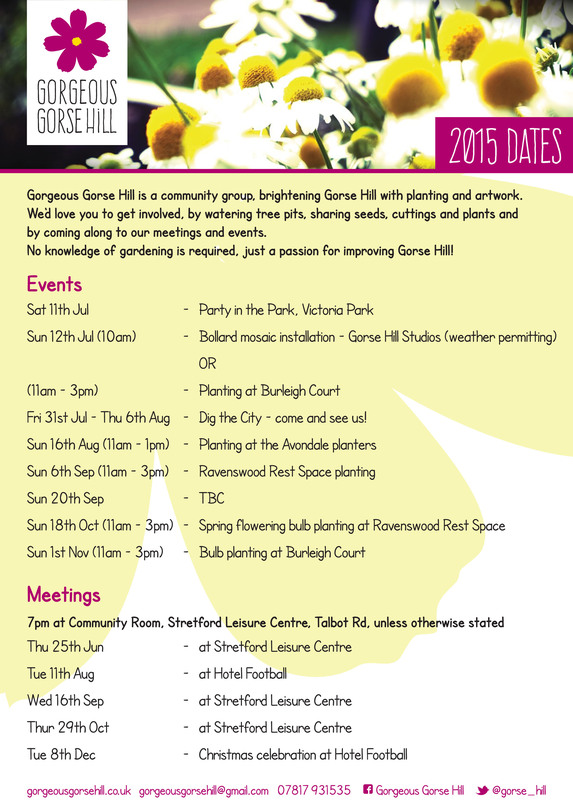 Gorgeous Gorse Hill needs you! We’ve been shortlisted to win a £25,000 Together Mutual Insurance / Manchester Evening News / Groundwork community competition. 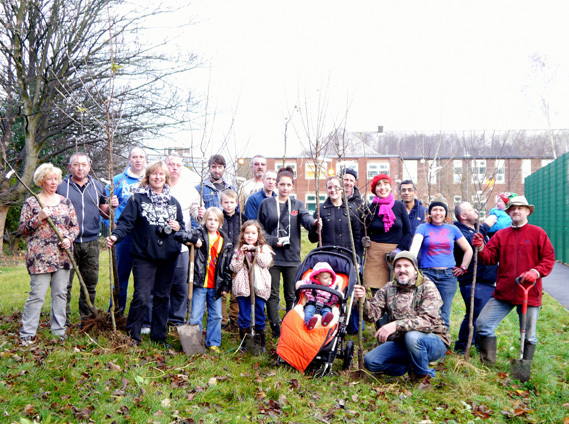 Go to www.togethermutualinsurance.co.uk/better and vote for Gorgeous Gorse Hill. Each person can vote once per day so please keep voting daily, entries close 11th April. 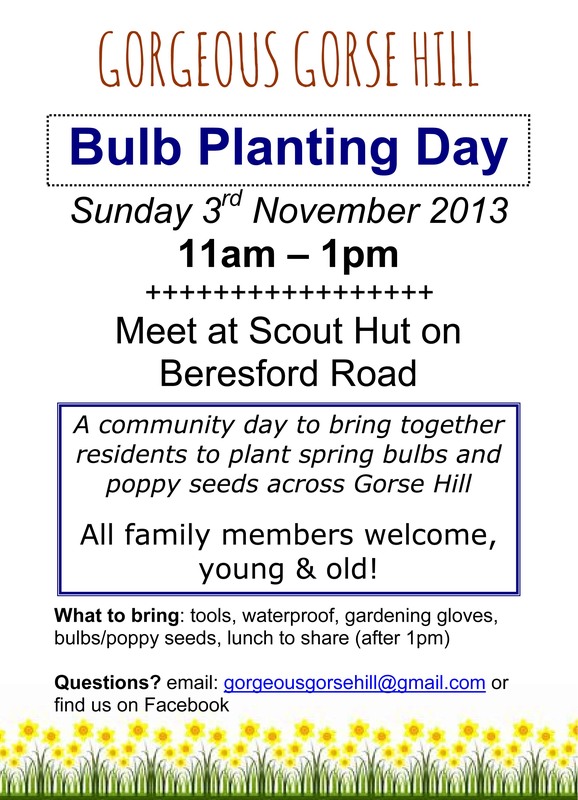 Help make Gorse Hill gorgeous! 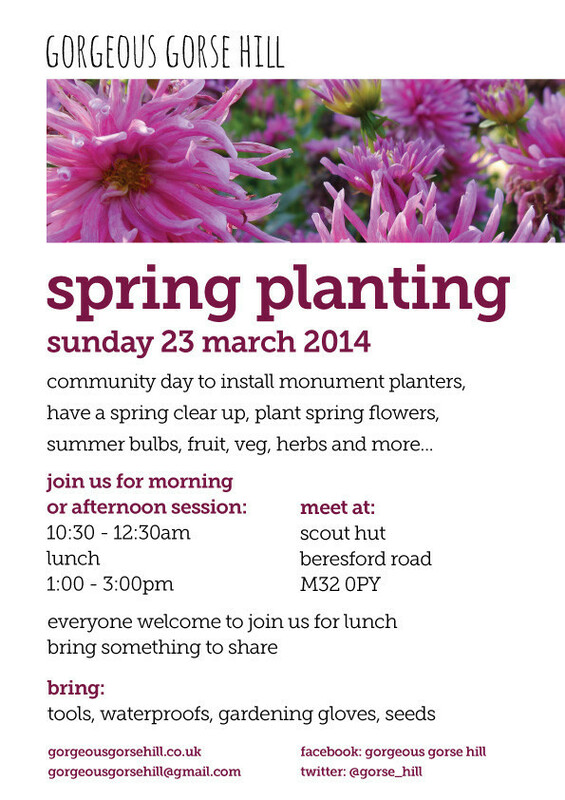 Come along and get involved and celebrate all things spring.